This sweater is well made. 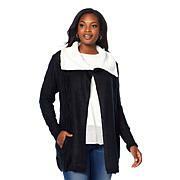 The softness of the material makes it ideal to wear. It runs large so downsize. It washes beautifully. Will purchase other colors. 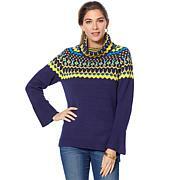 I saw this sweater on one of the HSN models and immediately went online to HSN to see if it was for sale. I was so happy to fine it and ordered it right away. I ordered the size 1X and it fits perfectly. It is so soft and the quality is excellent. I loved it so much that I ordered another one in a different color. I absolutely love these sweaters and I get lots of compliments. This sweater was soft and smooth did not over heat. I first ordered a large then sent it back for 2 medium. The large fit better because it's longer and leaner on my 5'2" frame. I'm in a 38C bra and wear a large top in regular stores. I carry weight in my middle and top. 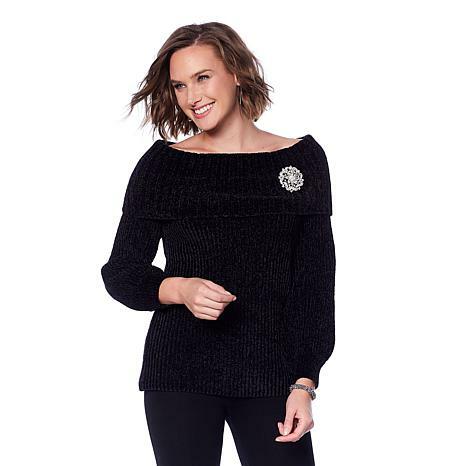 The Medium fit fine but the Large is great to wear with leggings. The quality is impeccable. Well worth the money and more.